From the moment it was possible to transmit images from one place to another people was wondering how these images could be captured and retained for further use. The modern-day solution is the capture card; the essential companion of any gamer and most computer users. It’s an efficient and effective way to save your progress in a game or keep video and other important information safe. Of course, the market is now flooded with different products, that’s why you need this guide to the best capture cards; it will ensure you have the memory and the power to achieve anything! Check out the 12 best capture cards currently on the market, then take a look at our guide for how to choose the right capture card, and make your purchase today! You’ll be glad you did! As costs go this is definitely one of the cheaper options on the market. But, that doesn’t mean it’s a bad one! One of the great things about this capture card/device is that you don’t actually need to plug it into a PC in order to capture the media feed from your games console. Instead, you simply plug it into the TV for power; via a USB cable. Then you pop in a USB thumb stick and away you go! 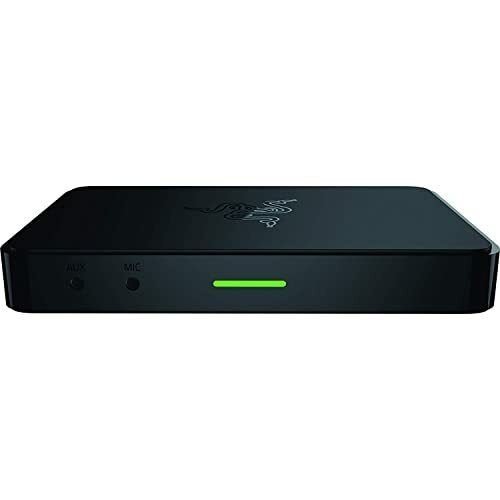 The Razor Ripsaw is a stylish looking box that records in 60fps, that’s a distinct advantage over many of the offering capture cards available. But, the real draw of the Raze Ripsaw is the fact it can be plugged into almost any device and work effectively. It connects via a 3.0 USB port and will work with older style consoles, as well as newer ones. That makes it an attractive option to almost every person on the planet; who doesn’t enjoy a little ‘old school’ at times? There’s no need for a PC with this capture card from AverMedia, one of the top manufacturer’s in the industry. It’s smart looking, very discreet, and has an array of lights to tell you what it’s doing. It can even record directly to an SD card without the need to be plugged into a PC. This may make it seem an unusual choice as the best capture card for PC; but the fact is that just because it can be used without your PC, doesn’t mean to say it’s not very effective with your PC. In fact, it’s because it can stand alone that it makes such a great companion for your PC. Elgato is one of the biggest names in the industry and for good reason; they provide devices that work exceptionally well and are easy to use. This makes them perfect for inexperienced users and experts. In fact, the HD60S is one of the most commonly recommended cards between gamers, despite the fact that it doesn’t just work on games consoles, it can also work on PC and Mac. This is a plug and play option; it goes between your Xbox One and the TV and then handles everything for you. It does have software with it to help you control it, but you’ll find this is very user-friendly; even to beginners. This offering from AverMedia is designed to slot inside your computer. This means it is not necessarily the best option for the faint-hearted; although fitting it is very easy. 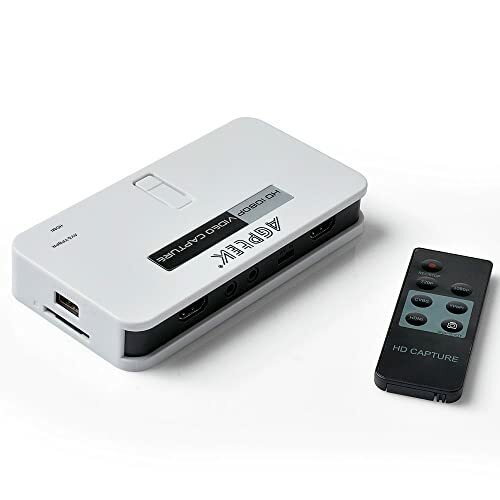 Once in place, it offers a passthrough HDMI 2.0 port and an HDMI input port, allowing you to connect it to your PS4 and your television and collect any digital video you want. This is actually the first gaming console capture software that allows you to record and simultaneously stream HDR content. If you haven’t tried it, you should. Magewell is a relative newcomer to the capture card industry but they are gaining a reputation for quality products and being prepared to go the extra mile. This external capture card is a simple, yet elegant design that allows a connection to your HDMI device and to your computer via the USB 3.0. You’ll be impressed at how little latency there is. There is room for improvement in this device but it is incredibly simple to use and compact, making it very easy to take anywhere with you. That alone makes it worth considering. Mirabox is offering a surprisingly effective budget option here that could be the answer you’re looking for; especially if you’re an avid gamer with the Nintendo Switch or one of the other games consoles. There are plenty of positive features contained in a box that’s just 3.7” x 2.5” x 0.9”. These include its compatibility with mainstream streaming media software, including YouTube Live, Facebook Live, and even Google Hangouts or Skype. There was a time when playing games at 4K resolution were not possible; it all seemed like a dream. However, with the release of PlayStation 4 Pro and Xbox One X, it all became a possibility and reality. Elgato 4k60 Pro is a 4K capture device which is available at quite an affordable price. This capture card was specially designed for console users. 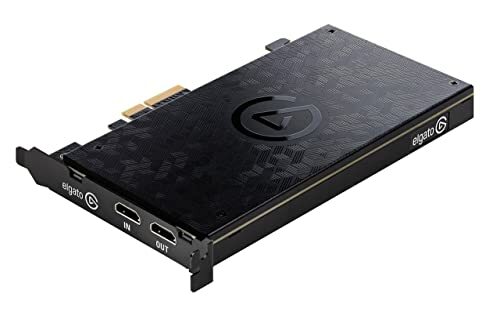 Many people think that it is not suitable for PC usage however, this is not the case, and it is one of the most ideal capture cards available for the PC. Moreover, the capture card comes with an HDMI cable that is pretty much enough to get started. People who are already familiar with the capture cards exactly know that its setup process is quite easy; all you have to do is insert the capture card into the computer, then see for the ‘In’ port and plug HDMI cable in it and connect it with the console. After that look for ‘Out’ port and plug another HDMI cable in it and then simply connect it to the TV. Despite the fact that this capture card is easy to install and use, you should know that it doesn’t mean that everything will just go flawlessly. Make sure that you uninstall any vacant game capture software because it might conflict with your present 4K capture software. Besides that, it supports a resolution up to 2160p60 and comes with an outstanding low latency technology. If you want to improve your gaming experience then you must have Roxio game capture HD Pro video capture device by your side. It will help you live stream, share, edit and capture gaming footage, all in all, it’s a chance to record some of your favorite moments in HD quality. Unlike other capture cards, it is extremely easy to set up. 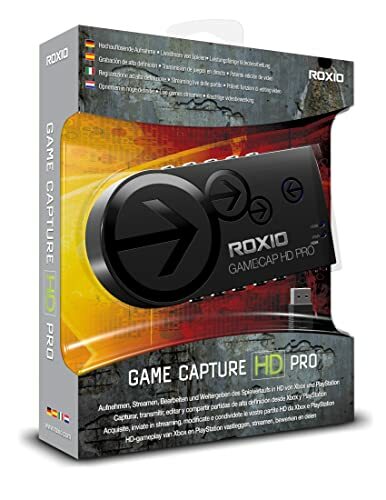 Roxio game capture HD Pro comes with a USB cable, hardware, and software. With just a touch of a button you can edit and share videos, it is the best platform to showcase your gameplay. You can even customize the file size and the quality of the video with the help of Roxio game capture HD Pro. 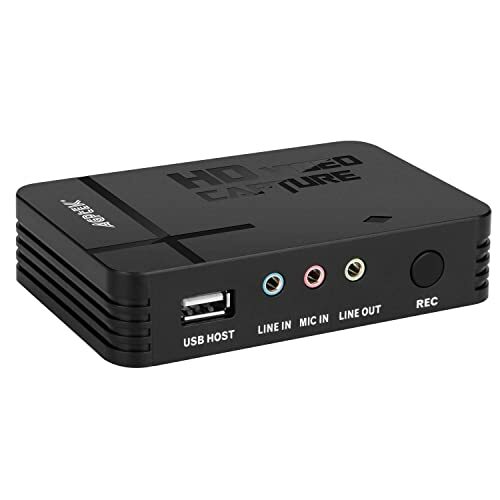 This capture card supports component cable connections and HDMI; you can use your on-hand cables to connect with its hardware device. Roxio HD Pro is equipped with software known as Roxio Video Wave; it is remarkable video editing software full of great features those are loved by gamers. This software can be used to add transition effects, music, narration, text and a lot more to the recorded gameplay. One of the most fun features is ‘voice changer’, it allows you to select a voice narration of your choice thus giving a thrilling feel to your gaming experience. If you are looking for a reasonable capture card with great performance then go for AGPtek HD game recorder. 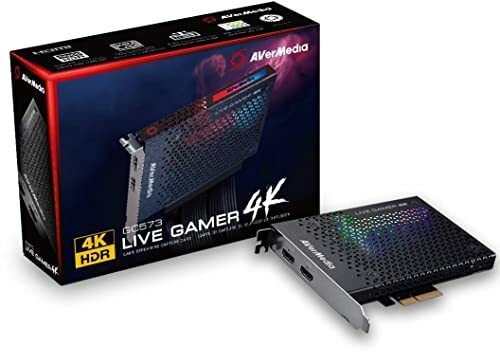 This one is a recent update by AGPtek, moreover if you are a gamer and streamer who thinks is good without 60 FPS in 1080p then this capture card is best for you. It comes with a 1080p capability and still is available at an affordable price. Furthermore, it is equipped with three different input modes, HDMI, Composite, and Component. One of the most loved features of this device is the presence of a remote control; it helps you to switch between various modes and settings without hassle. With just a simple tap on the snapshot button, you can capture a still. The USB host port is situated on the front of the gadget; you can save memory on either an SD card or a USB device. At a resolution of 1080p you can record at 30FPS however you can record 60FPS at a resolution of 720p. HDMI and Component mode can be used to record game audio, whereas you can record video only on Component mode. This is one of the best capture cards available on the market. This high-quality USB capture card has the ability to stream and record PlayStation, Nintendo, Xbox and a lot more game plays. Unlike its competitors, AVerCapture HD can record up to full HD 1080p with the help of premium hardware encoder. The best thing about this capture card is that it requires a lot less CPU procession power, besides that it produces smaller format files. The efficiency of AVerCapture HD is remarkable; it does faster processing and gives you a great editing experience. In addition to that, it comes with a hardware encoding technology which is advanced and gives optimal performance. This technology ensures that minimum CPU power is consumed and the processing of HD video is done just the right way. 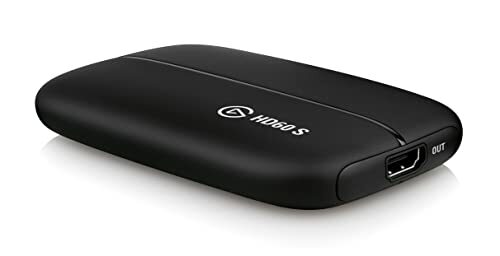 If you want a perfect viewing experience while you are streaming and recoding then this capture card is an ideal choice. Besides that, it gives premium HD footage that you’ll feel proud to share on social media. Moreover, its software comes with intuitive settings; the TimeShift function is exceptional, it allows you to record your favorite moments with ease. To make your experience worthwhile AVerMedia provides excellent customer support service. They also offer a two-year product warranty. This is the best capture card which is going to give you a valuable life experience. Unlike regular capture cards, it does extremely easy recording, and all you have to do is press a button and you are all set to record a live gameplay. Like most of the capture cards, this one also uses an SD card to record the data thus allowing it to be used without the need of a computer. As compared to its competitors it is very easy to use; you don’t have to go through the boring installation process. Just tap on the record button and you are all set to record, and then press the exact same button when you are done with the recording. You can use your AGPtek HD Game Capture to record gameplay in 1080p HD, apart from that with it you can easily record your beloved games while you are playing them. You might need an extra HDMI splitter if you are using a game console. This incredible capture card is equipped with an extra Mic input, besides that, you can easily record live voice with it. However, you’ll be disappointed to know that it doesn’t support live streaming. What Is A Capture Card? So what actually classifies as a capture card? Things like SD cards, microSD, and even CD’s can store small amounts of information; including videos. These are examples of early capture cards. In effect, a capture card is any removable storage device that can capture video; specifically digital signals, and convert them into a form of data that can be easily stored. Obviously, the majority of capture cards store the data for you as well; allowing you to play it back when you want to in the future. In the modern world, the purpose of this is to allow gamers to save the progress of their game; without overloading the memory of their computer or games console. 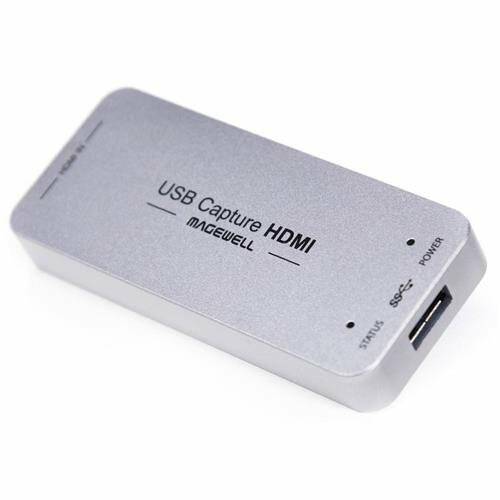 Of course, capture cards are not just for gamers; anyone hoping to stream video or save video can use a capture card to collect the signals with an external device via an HDMI connection. Yes, you can save video and data on your PC; but it will quickly fill up; slowing your PC down. In addition; it’s not very easy to carry your data with you; even if it’s stored on a laptop. How Does Capture Card Work? 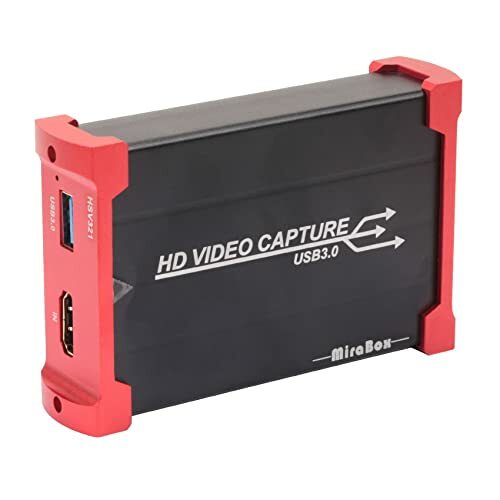 The majority of modern capture cards are external devices, you connect them to a USB port or the HDMI socket on your device and can then save the video images in real time. These devices are small and portable, but they may suffer from lower image quality; that’s why you need to choose one of the best capture cards on this list. It works in the same way as your computer does when saving images and media. However, this is a very intense process for your CPU; which is likely to result in poor quality images. The capture card is designed to do this job and this job alone; saving the CPU power of your computer while maintaining the quality of the images. It is worth noting that you can opt to add a capture card to your PC via the PCI or PCIe slot; this is inside your PC and will involve removing the cover to get the card in position. It is not as mobile but it does offer superior media signal and conversion. Encoding – this is the process of turning raw footage into a readable file, such as MP4. Bitrate – This refers to the rate per second that your encoding process will create data. It’s measured in kilobytes per second and will give you an idea regarding how much data you’ll be using; particularly useful if you have a capped internet connection. Downsampling – Simply converting something from a high resolution to a low one, to maximize storage or display on specific internet channels such as YouTube. Passthrough – If you plug a capture card into your games console you’ll probably take the only HDMI port available. You’d have to buy an HDMI splitter to get around this but the passthrough is the industry’s response, allowing you to plug in your capture card and retain the port y having input and output terminals on the card. The best capture card, especially for beginners, is one that you can use straight from the box. 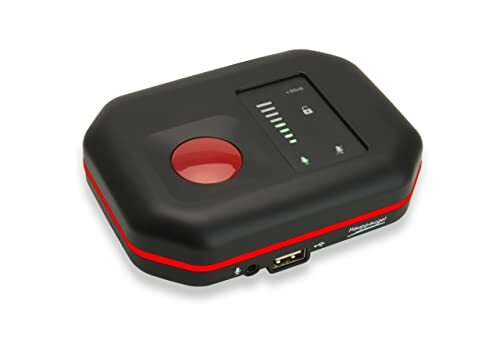 Plug and play technology makes it very easy to set up your capture card and start using it virtually instantly. If you don’t have a lot of experience with capture cards then this is a must. However, if you know a little more then you may want to consider more detailed technological implications, such as the latency rate and whether it has passthrough function. The higher the resolution, the better the quality of the image. However, just because a capture card says it has 1080p doesn’t mean that this is the quality you’ll see. You also need to consider the frames per second, (fps). In order to get the best quality images, you need to have one that offers60fps; this is not yet as common as it should be! You also need to consider who you are streaming your content to. They may not have the bandwidth or equipment to receive 1080p at 60fps. In fact, the current sweet spot between ease of receipt and image quality is 60fps and 720p. Of course, the future will be different. As the internet gets faster you’ll be looking at 1080p and 4k; there is a niche market for this at the moment but it will rapidly grow in the next few years. There are many different manufacturers creating capture cards; this is a rapidly growing segment of the industry. But, that doesn’t mean they are all created equal. If you know the manufacturer then you may consider a safe bet to choose their products. However, regardless of who has created the product, it is worth taking a look at social media sites and seeing what other users have said about a specific product. You’ll find there are some negative reviews but this is almost unavoidable, no product is perfect. However, if the majority of the reviews are positive and the customer service response to issues is good; then you’re onto a winner. You’re certainly well on your way there by choosing one of the 7 best capture cards on this list. You don’t need a computer but if you’re serious about streaming you should invest in one. This will give you the capability of editing your feed and creating the best possible uploads. T ensure this is as smooth as possible for you it is important to find a computer with as large a CPU as possible. This will ensure it can handle the tasks you’re asking it to do without overloading or taking forever. We’ve already mentioned frames per second but it is important to reiterate this. The future is 60fps, and perhaps more. If you’re looking for the best capture cards today you need to be choosing one that gives you 60fps; otherwise, it will be outdated by the time you start using it! Older capture cards tend to have limited space availability. If you’re serious about streaming then you need to make sure your card offers an unlimited amount of space, allowing you to focus on the presentation and information; not whether you need to edit to fit the images into the space left on your capture cards. To reach the widest possible audience you need to be able to stream to multiple channels. While most capture cards will not restrict the number of services you can access, it is worth checking before you commit. As always, you should take a look at what funds you have available before deciding which capture cards you should be purchasing. The price of these cards can vary from approximately $100 to $500 or more. Choose your card wisely, more expensive is not necessarily better, but if you have your heart set on a specific card be prepared to wait until you have the funds available. Capture cards are increasing in popularity and can be considered for gamers and streamers. That’s why you need to carefully consider which card is best suited to your needs. The Hauppauge HD PVR Rocket is a great option if you’re on a budget, however, if you’re less concerned about the funding side, you should consider which capture cards on this list match your machine best; it will be of benefit to you.